A clear vision will guide you. June 19 - 23, 2019. BANFF, AB. We know there are lots of programs, workshops, seminars, keynotes and coaching that help speakers develop their talks and their performance. Heck, we offer them. But why isn’t there a shorter, compact training intensive that helps people go from idea to delivery within a few short, but action-packed days? Now there is. Introducing SpeakEasy Intensive. A retreat to help you go from idea to ready to deliver a talk in just four days. Public speaking is hard. And because it’s so challenging, it stops many who have something incredible to share from doing so SpeakEasy Intensive is designed specifically to help changemakers develop their narrative and deliver it with confidence. You’ll leave the four-day retreat with a comprehensive talk ready to deliver and captured on video, and armed with the tools and techniques to develop and deliver future talks moving forward. Having coached and curated the world-renowned TEDxToronto and SingularityU Canada conference and many, many others, Talk Boutique Founders Nick Kindler and Andrea Sampson noticed something. There were lots of people with big ideas, thousands of them, and only a handful were chosen to grace the TED stage. We call them changemakers in waiting. And those change-makers that were fortunate enough make it on the stage often spoke once and shared their video online. And that was it. The training, the coaching, the experience was exclusive and fleeting. Simon Sinek said, “Leadership requires two things: a vision of the world that does not yet exist and the ability to communicate it.” We couldn’t agree more. 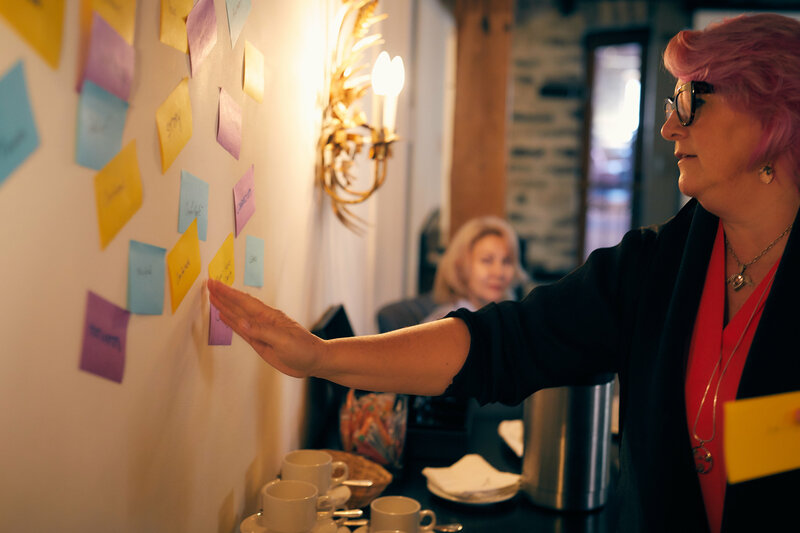 When you attend SpeakEasy Intensive, you’ll be part of an intimate collection of 15 dynamic leaders and changemakers from across Canada and the world all wanting to sharpen their storytelling and speaking skills. Our programs attract senior management, such as CEO’s, CTO’s, EVP’s, SVP’s, and R&D leaders, as well as leading entrepreneurs, investors, scientists, academics, artists, and thought leaders who represent the future of their industries. Work with coaches to develop your BIG idea for your talk. Fine tune your idea, clarify your message and develop your style. Learn how to incorporate stories from your life into your presentations. Tips to improve your body language, vocal skills and improve confidence. Learn how to incorporate play and improvisation into your speaking style. Learn how to “internalize” your script to enhance your delivery. Develop the right visual support for your talk. One-on-one coaching with our world-class TED-trained coaches. 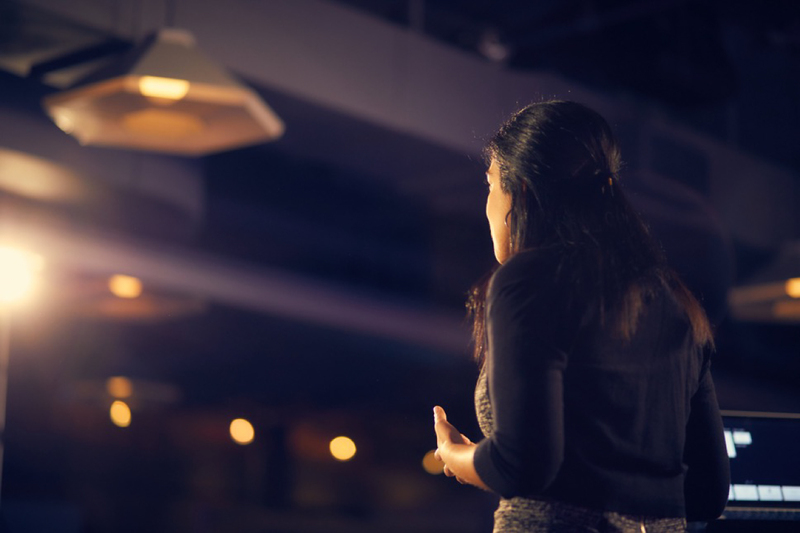 The opportunity to perform your new talk on stage in front of an audience. All meals, snacks and deluxe accommodations at the beautiful Banff Centre for Arts and Creativity. A professionally produced, multi-camera video of your talk in front of a live audience. Talk Canvas worksheet and framework along with all workshop materials to ensure you are able to continue to develop top quality, high impact talks. A follow-up 1:1 Coaching session post-retreat. We’re excited to announce that our 2019 SpeakEasy Intensive is being held at the beautiful Banff Centre for Arts and Creativity. Join us for a unique, curated, exclusive experience for only 15 select senior leaders. Designed specifically to help change-makers crystallize their vision and ideas, clarify their approach and communicate with confidence. I learned that speaking can be learned, just like any other skill. A person can become a professional speaker by learning the tools that you gave us that week. I feel like I now have a system to go about building my speaking and coaching business. I loved the camaraderie and support of our fellow participants, the thoughtful yet honest critiques from you two, the things we learned about status, body language, voice, etc, and the tools we now have as we build our next talks. The most valuable thing I learned at SpeakEasy Intensive was how to use the Talk Canvas Structure. 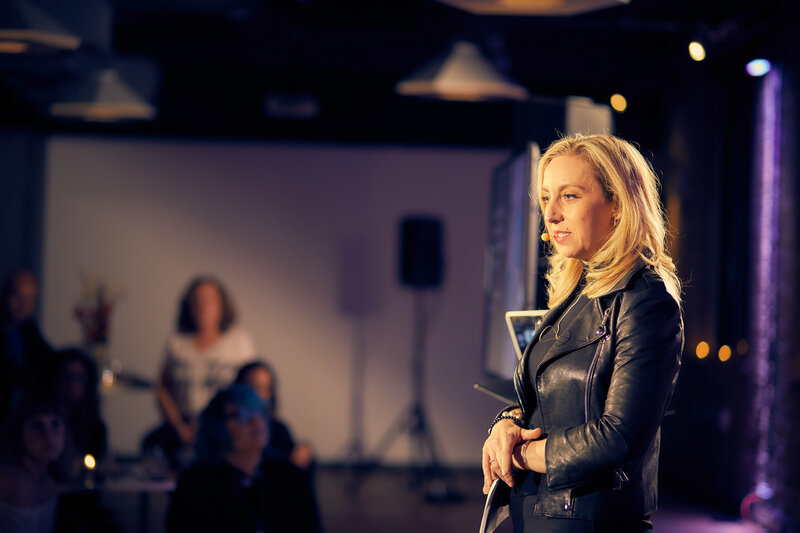 From the team that has developed, programmed, and coached TEDxToronto, SingularityU Canada Summit, Elevate TO and have coached hundreds of the world’s best speakers, Talk Boutique is pleased to announce the launch of SpeakEasy Intensive. Let us help you build your next great talk! 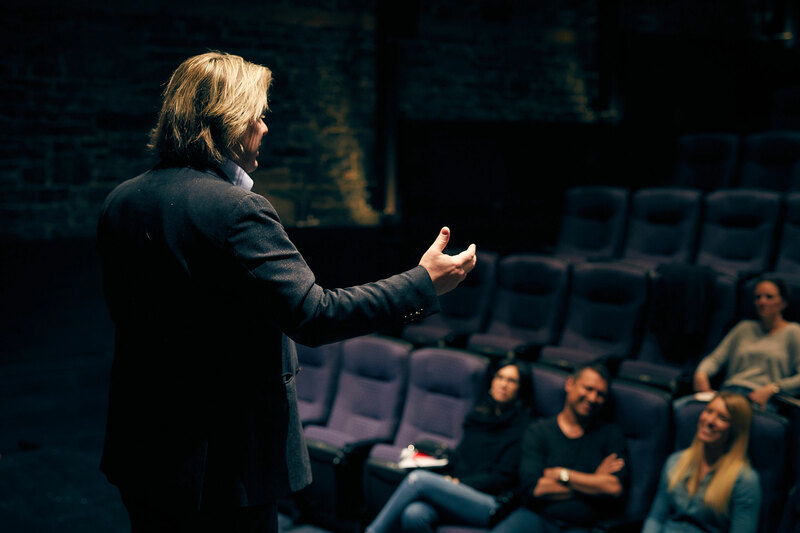 Developed by Talk Boutique, SpeakEasy Intensive is the only program in the world designed to take you from idea to speech in just four days. © 2019 SpeakEasy Intensive. All Rights Reserved.